The Image above is a Hot Link to take you to our Forum Board, Please click the Image and enjoy the Discussion Board. 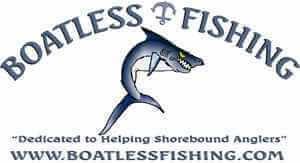 A little Thank you in advance for particapating or viewing my Fishing site and please email me with any questions and feed back. You will see my email throughout the site and also an Email form in the BF Reel Time News area. The big fish, at this time, are out for the hunger and sport of it with the water just filled with food. At times I have seen so many Mullet for so far you could see the swells came in with hundreds of little heads and tails swishing around. As a big fish would creep up from below they would all at once move like the wave in a stadium. Watching at night with shoreline light it is quite a sight to see huge silver sides enveloping waves of white from all the mullet splashing up as far as you could see with the darkness of the night sky in the back ground and the sounds of the fish remarkable and unforgetable. Here comes the heat, Summer brings us calmer water and southern currents along the surf, bait begins to hold on the piers and inlets, as we move through the month bait will increase in amount. We should see Threadfins, Pilchards and Goggleeyes, lingering mullet around also. Catching Tarpon from the Piers , Beaches and Inlets, from the Piers you can sight fish them with live Pilchard live lined, a nice size Mullet head lobed out from the beach will also work and at the inlets live or Dead will get you picked up. Other fish that will begin to move in will be large cero mackerel, bonita little tuny and everyones favorite Mangrove snapper, the snapper will show best once the summer bait moves in thicker and the snapper will be stacked up under piers, docks or around structure inshore, best bet for the Mangrove snapper will be live shrimp, Silver-sides or any fresh cut white bait. There will be Panfish in the surf and all will be easily caught on pieces of shrimp on a double chicken rig, your likely to catch Spots, Sand perch aka Mojarras, whiting, and maybe a straggler Pompano. This time of year I bring fishing to the beach with me a snorkel and mask because if the fish arent hitting I'm a because the water is super clear and its hot on the beach. Have a great June and get ready to take the kids fishing, summer break is almost here and they will have plenty of time so you need to make some time. The Featured Fishing Articles are to help you fish areas in South Florida such as - Juno beach, Juno fishing pier, Sebastian Inlet and Jetties, Jupiter Inlet, Jupiter Beach, Boca Raton Inlet, Lake worth Inlet, Palm beach, West Palm Beach, Boynton Inlet, Hillsboro Inlet, Pompano fishing pier, Pompano Beach, Anglins fishing pier, Fort Lauderdale Beach, Dania fishing pier, Deerfield fishing pier, Deerfield Beach, Miami Beach, Rickenbacker Causeway, Florida Keys, South Florida fishing piers, West coast florida, Marco Island, Sanibel, Naples. The fishing info is supplied free of charge. Closed from midnight to 6 AM Monday through Thursday.Open around the clock from 6 AM Thursday morning to Sunday evening at midnight (Monday). Channel 2, Craig Key, Forida Keys. Expert Rod & Reel Repair - Featuring Complete Line of Rod Building Components - Hand Crafted Custom Rods - Fresh & Frozen Bait - Guy Harvey Sportswear.